Note: This is not an audio CD that plays in a stereo, it is a computer CD . Save over 30% off regular price for a limited time! Purchase before March 31st to SAVE! Used as part of medical transcription training and medical billing courses. Medical Terminology Book with CD DELUXE Edition! Now you can learn medical terms faster and easier with this step by step printed book and interactive CD. You'll learn the words used in doctors offices, clinics, hospitals and alternative medicine. 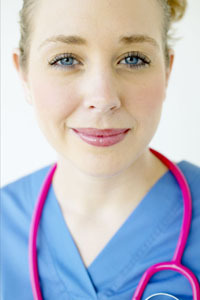 Everything needed for a self-paced medical terminology course is included. Listen to the words pronounced, get spelling assistance, work through exercises, self-tests, and games. This book and CD make it easy to learn the medical vocabulary of doctors and nurses. A Medical Terminology Course you can take on your own time at your own pace. With no grades and no one looking over your shoulder! Get started in your Medical Transcription career, Medical Office Assistant career, Physicians Assistant career, or Medical Billing career by learning how to spell and pronounce medical terms. This medical terminology book was created by top medical experts for a self-paced medical terminology course. This package is used as a textbook for self-paced and distance courses at colleges and hospitals across the country. - Schools and Hospitals - Contact us at 541-535-5552 for discounts on quantity orders of 20 or more. 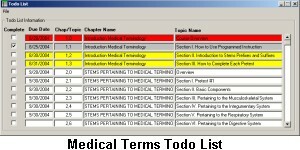 -Base Medical Terminology course without Audio Training Tool, Spelling Bee, Todo List Tracking and other Interactive Tools. PRICE: $44.55 book with CD Regular Price: $70.00 SAVE $25.50 (over 30% off) for a limited time. with our secure order form! We keep your information secret, we do not sell or distribute any information about our customers. Or call 541-535-5552 to order by phone. Click here to learn medical terminology - View a sample interactive exercise from the CD See how easy it is to learn new medical words with our programmed interactive approach to learning medical terms.